When making a sequel, it’s important to cast actors from the previous film in order to connect it to earlier entries. Otherwise you end up with a mess like The Sting 2. Of course, I doubt even Robert Redford or Paul Newman could have saved that film. This is especially true when you’re trying to shift the focus of the series and/or introduce a whole bunch of new characters. Some actors add a lot of emotional weight to a sequel just by showing up. They inspire feelings of nostalgia and lend credibility to the project they’re a part of. 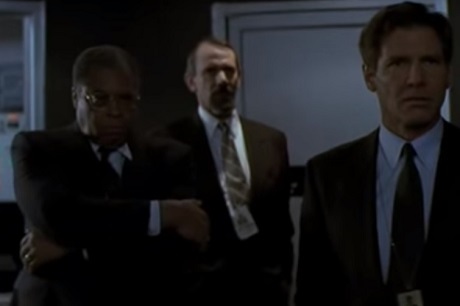 So here are 10 actors whose presence adds gravitas to torch-passing sequels. Imagine if Luke Skywalker had met Yoda without first being told by Obi-Wan Kenobi that Yoda was the Jedi Master who had once trained him. It would have lacked any kind of emotional impact. We had learned to trust and respect Obi-Wan in the first Star Wars film, so in The Empire Strikes Back when he tells Luke that he needs to seek out a Jedi who is even more powerful than himself, we (like Luke) expected to find a great warrior. Instead, our expectations were confounded and our understanding of the Force was deepened when we discovered that “size matters not.” Even the smallest creature can possess great power. And this amazing reveal was made possible by a brief appearance by Sir Alec Guinness. 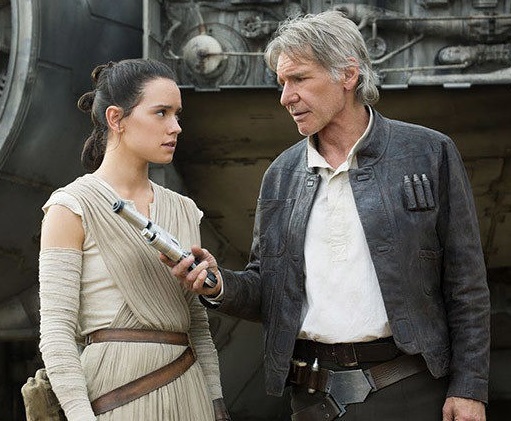 Harrison Ford basically took on the part of Obi-Wan Kenobi in Star Wars: The Force Awakens. He guides a young woman on her journey to learning the ways of the Force and becoming a Jedi. While it’s wonderful to see the other original actors in the roles of Luke Skywalker, Princess Leia, Chewbacca, C3PO, and R2D2, Harrison Ford’s Han Solo completely steals the show whenever he’s on screen. 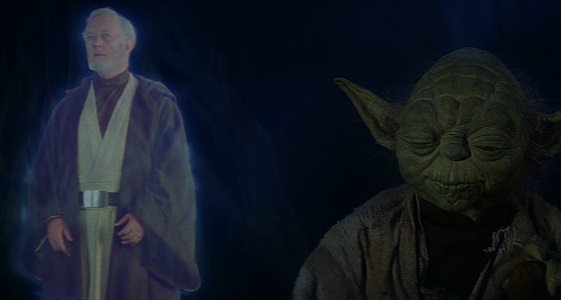 His speech about the adventures of Luke and the mysteries of the Force all being true really hits home because he was always such a skeptic in the original trilogy. His change of heart mirrors the audience’s. The Star Wars films, though some are better than others, have managed to completely win us over. Oh, and Han Solo’s death at the hands of his own son makes this seventh film in the series resonate emotionally. I don’t usually enjoy horror films, but Heather Langenkamp’s portrayal of herself in New Nightmare is such a special treat, I have to make an exception for this 1994 film. The seventh film in the Nightmare on Elm Street series took the series in a whole new direction. The original film’s writer/director Wes Craven returned 10 years after making the original film and penned this meta horror film (which came out before audiences even knew what a meta horror film was supposed to look like). Langenkamp plays herself as a mother who is desperate to keep her son safe from a murderous Freddy Krueger. She pulls it off beautifully. Robert Englund and Wes Craven also give great performances, but it’s Langenkamp who holds the film together and justifies this film’s creation. James Earl Jones is amazing. His voice and the way he handles himself allow him to dominate pretty much every scene of every movie he appears in. He was the only actor to return in the sequel to The Hunt for Red October, Patriot Games. Each time he pops his head in for a moment to speak to Jack Ryan, everyone shows great deference to him. He is clearly always the man in charge, and a few subtle words from him are all that’s needed to end a discussion. Jason Miller played the young Catholic priest named Father Karras who struggles with his testimony in 1973’s The Exorcist. In the end, he invites the demon possessing Regan to come into him and then he jumps out of a window and dies… or does he? 1990’s The Exorcist III shifts the focus from young Regan to an old, embittered police officer investigating a mysterious string of murders. It turns out that poor Father Karras had his body taken over by a horrible killer. We only get a couple of brief glimpses of Father Karras as he fights to regain control of his body. But the pain in his face and the tragedy of knowing what has become of him after his selfless sacrifice are enough to make the audience empathize with him and wish to see his alter ego destroyed for good. I love hearing the voice of Douglas Rain as Hal in 1984’s 2010. His redemption story is wonderfully cathartic after the events of 2001: A Space Odyssey. But it’s Keir Dullea who really shines and gives great emotional weight to the events of 2010. He keeps recalling his former life as a mortal and he attempts to reconnect with the people he loved, even if just for a brief conversation. But his greatest scene comes when he attempts to convince the astronauts in orbit around Jupiter that they must leave immediately. The moment when Heywood Floyd meets Dave Bowman aboard the Discovery still gives me goosebumps. Leonard Nimoy’s presence in 2009’s Star Trek is an absolute delight. 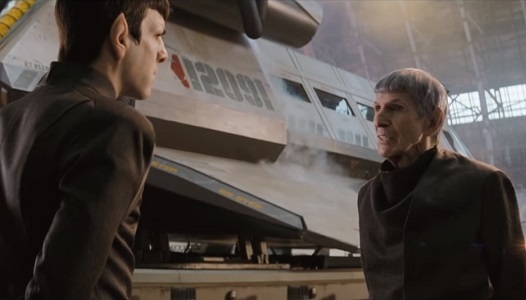 The brief scenes when his Spock saves a young Kirk and has a conversation with his counterpart are some of the biggest highlights of the entire film. Each moment that he turns around and reveals his face is a welcome shock. He’s a calm voice of reason in an unfamiliar and dangerous alternate timeline. Establishing a new Spock-centered universe was one of the smartest decisions the makers of the new Star Trek film series could have done, and Leonard Nimoy plays his part admirably. He reminds us that he has been, and always shall be, our friend. What can you say about Paul Newman? He’s perfect. He’s comfortable in every role he takes, and he’s always the best part of whatever movie he’s in. 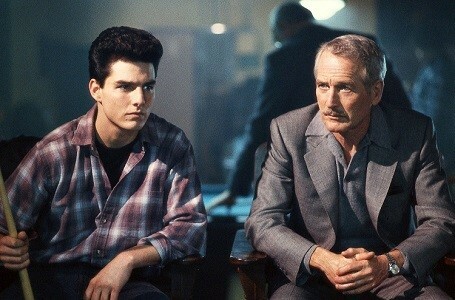 So in 1986 when he agreed to costar with Tom Cruise in a sequel to 1961’s The Hustler, the pressure was on to add something new to his classic Eddie Felson character. And he did not disappoint. Playing a con man who desperately wants a chance to prove he’s a legitimately great pool player, Paul Newman manages to outshine even a young, rising-star Tom Cruise. He won the Best Actor Academy Award that year for his performance. His presence in the film adds a lot to a simple redemption story and balances out Cruise’s cocky character. Ripley is just another crewmember in 1979’s Alien. She manages to survive mankind’s first contact with the mysterious alien, but her survival doesn’t mean anything deeper than just avoiding death. It’s not until 1986’s Aliens that she becomes the glue that holds everything together. Sigourney Weaver’s performance elevates the film to a whole new level of awesomeness as she adds new layers to the character of Ripley. Her triumph over the alien queen in the end ensures the survival of her surrogate daughter Newt, as well as the incapacitated Bishop and Hicks. 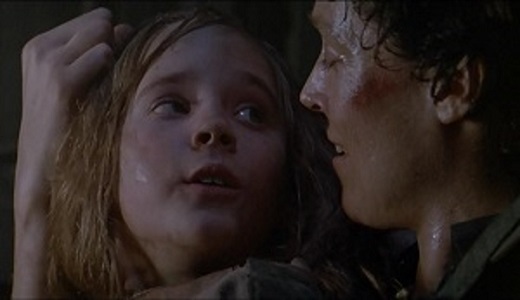 Weaver’s performance earned her an Academy Award nomination and helped the Alien series to endure as a true classic. Remember in 1976’s Rocky when old, battered Mickey Goldmill walks into Rocky Balboa’s apartment and proceeds to share his intensely personal experiences as a boxer? In just a few words, he manages to convey a lifetime of pain and yearning for a shot at a championship title, like Rocky has against Apollo Creed. And we never even got to see Mickey in his prime. Well, history repeats itself in 2015’s Creed. We did get to see Rocky in his prime and all the way into his declining years over the course of six films. So when Apollo Creed’s son comes calling to the legendary Rocky Balboa to be his trainer, we’re glad to see Rocky accept. 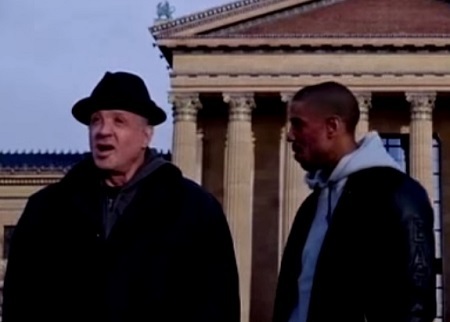 Without Sylvester Stallone, Creed would be a much lesser film. Rocky’s heartfelt advice and lessons resonate because we love him so much. And, by extension, we grow to love his protégé, as well. This strategy doesn’t always work. Even a great actor can’t save a poorly written film, such as Charlton Heston’s cameo in the 2001 remake of Planet of the Apes. Also William Shatner’s part in Star Trek Generations failed to add much to that film. Seeing Kirk and Picard meet feels more like a missed opportunity than an epic meeting of heroes. Speaking of missed opportunities, if only Kirstie Alley had reprised her role as Lt. Saavik in Star Trek VI: The Undiscovered Country, that film would have been perfect. Her betrayal of Kirk and all of Starfleet because of her fear of the unknown would have been a most unusual and interesting twist in her character arc. And it would have made the Starfleet-Klingon conspiracy hit home even more. To end on a positive note, there’s one film I had to leave off the list, even though it has an awesome actor in it. Robin Hood: Prince of Thieves isn’t a sequel, but Sean Connery’s cameo at the end adds so much to the film. When we see Connery’s King Richard show up at the wedding at the end, we realize that the whole time Robin Hood has been fighting for this legendary actor’s kingdom. Now that’s something worth fighting for. Connery did a great job playing an aging Robin Hood in 1976’s Robin and Marian, so his small part is that much more meaningful. All images and the video clip are the copyright of their respective owners. This entry was posted in Random Stuff and tagged 2010, actors, aliens, empire strikes back, films, harrison ford, movie review, movies, nightmare on elm street, patriot games, paul newman, rocky, science fiction, sequels, star trek, star wars, the exorcist. Bookmark the permalink. Great post! I agree, Paul Newman is perfect. Keir Dullea is a movie I haven’t seen but because of your post, I’m wondering how I missed it! I love Space Odyssey. Thank you. 2010 is a really good sequel. It’s amazing they would even attempt to make a sequel to 2001: A Space Odyssey, but 2010 takes the story in a whole new direction, and it works great both as a science fiction film and a Cold War thriller. Great stuff.